Home Electric Vehicles EV Charging Electric car fast charging feud between SAE and CHADEMO, who will win? 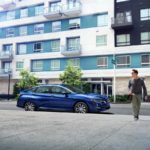 The CHADEMO standard exists in the i-MiEV and LEAF, but a consortium of automakers are using the SAE J1772 committee to develop a completely different system, and hopefully electric car owners will benefit in the end. 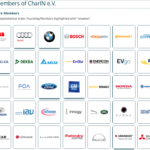 The CHADEMO group is led by Nissan, maker of the Leaf, and Mitsubishi, maker of the i-MiEV. Both cars require either a long recharge time (as much as 7 hours) at a 3.3 kilowatt charge rate via a J1772 plug, or a fast recharge time, 30 minutes, using the CHADEMO port. 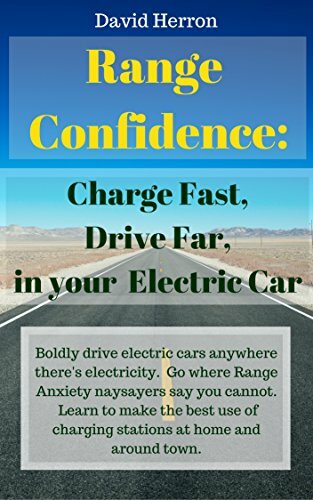 Research has shown that when the CHADEMO network was built in Japan, that electric car utilization went up dramatically , suggesting that the existence of a fast charging network alleviates range anxiety. Not many CHADEMO charging stations exist in the U.S. but large-scale deployments are beginning in Chicago, the SF Bay Area , and other parts of California. Because CHADEMO is the only existing DC Fast Charging system, it is the only choice for businesses wishing to launch electric car charging networks. The SAE DC Fast Charging consortium includes Audi, BMW, Daimler, Ford, General Motors, Porsche and Volkswagen. 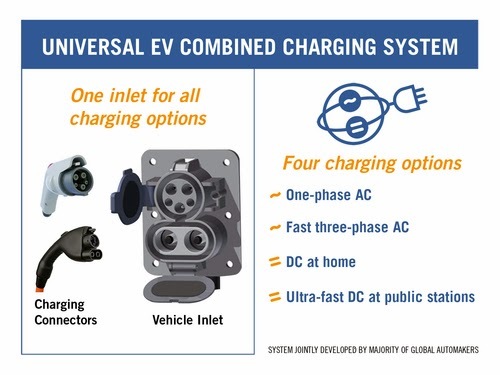 For the last couple years these automakers, via the SAE committee, have prevented the CHADEMO standard from being adopted as an SAE standard, and have instead insisted on following the standardization process. Some claim the SAE committee is blocking adoption of CHADEMO on political grounds , with little technical merit, and among the goals is to damage Nissan’s electric car efforts. The SAE committee claims the nearly finished standard has technical benefits over CHADEMO. 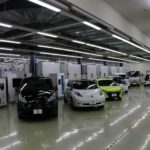 There are several years of experience in deploying CHADEMO-compatible electric cars and charging stations, versus 0 years experience with the yet-to-be-finished SAE standard. Whether or not the SAE committee is blocking CHADEMO for political goals, it is ignoring a standard with several years of experience behind it, in favor of a new untried standard. That new standard had better have something good to it, eh? In the meantime charging network operators are spending money deploying CHADEMO networks, risking a large expense to replace CHADEMO stations with ones supporting SAE’s DC Fast Charging system. One benefit is it rallies the automakers around the same plug and socket design being used on todays electric cars. 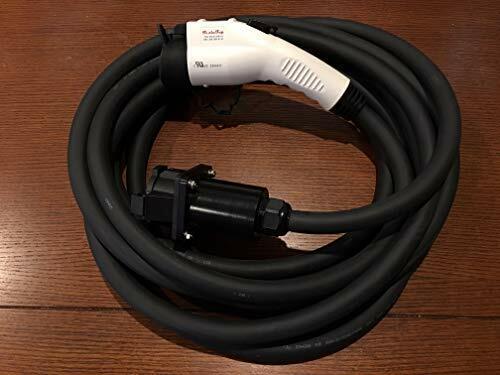 The past has shown that in the absence of charging connector standards, the automakers will develop whatever plugs they want, leaving electric car owners with the pain of carrying a box full of adapter cords or else the frustration of being unable to charge their car, and charging station owners had to install extra stations to support both standards. The existing J1772 plug is a massive step forward from the bad old days (10 years ago) of multiple charging standards. 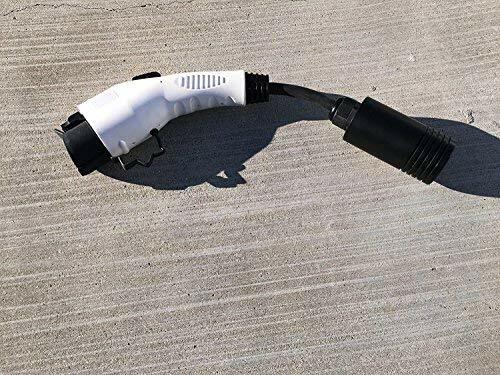 We really want there to be a single standard for electric car charging standard, just like there is a standard for gasoline fuel pump nozzles that allows us to fill up on gasoline at any station. Another benefit is to harmonize the J1772 plugs on European and American electric cars. The European and American standards committees (IEC and SAE) agreed on the J1772 signal connections, they hadn’t agreed on the plug format to use, and ended up with different plugs. Another benefit is to support a full range of charging methods: one-phase AC-charging, fast three-phase AC-charging, DC-charging at home or ultra-fast DC-charging at public charging stations. For example, while the U.S. typically has single-phase AC, three-phase AC is common in Europe and can support higher charging rates using AC. The benefit most touted by the SAE committee is that it means for a single hole in the car’s body. Automobile designers are accustomed to designing a single hole for the gasoline nozzle, and apparently don’t like to accommodate two holes, one for the J1772 socket, the other for the CHADEMO socket. Of course, the Nissan Leaf designers managed to squeeze both into one hole, simply by making it a very large hole in the nose of the car. Earlier we asked whether the charging station networks were going to face an expensive rip-and-upgrade process. Once electric cars implementing the SAE standard start being sold (supposedly in 2013), CHADEMO will have a limited useful life. Nissan and Mitsubishi may end up adopting the SAE standard, just as Sony eventually began selling VHS players. Rendering CHADEMO a legacy standard means charging station network operators would face the question of continuing to support both CHADEMO and the newer SAE standard. 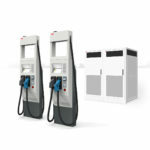 It appears the charging station vendors are thinking ahead with at least ABB , Eaton , and Schneider Electric saying their CHADEMO stations have an upgrade path to support the SAE fast charging standard. 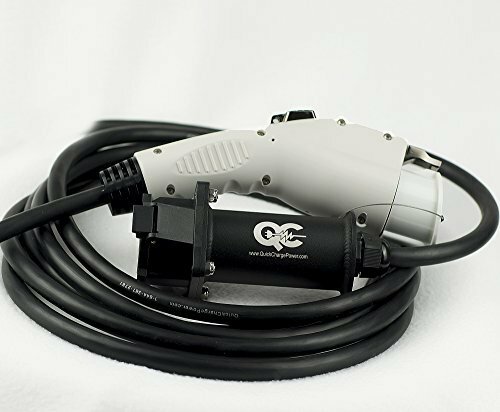 Is it possible to build an adapter for CHADEMO electric cars to use the new SAE DC Fast Charge connectors? It doesn’t appear so, because the DC portion of the SAE plug is electrically incompatible with CHADEMO. 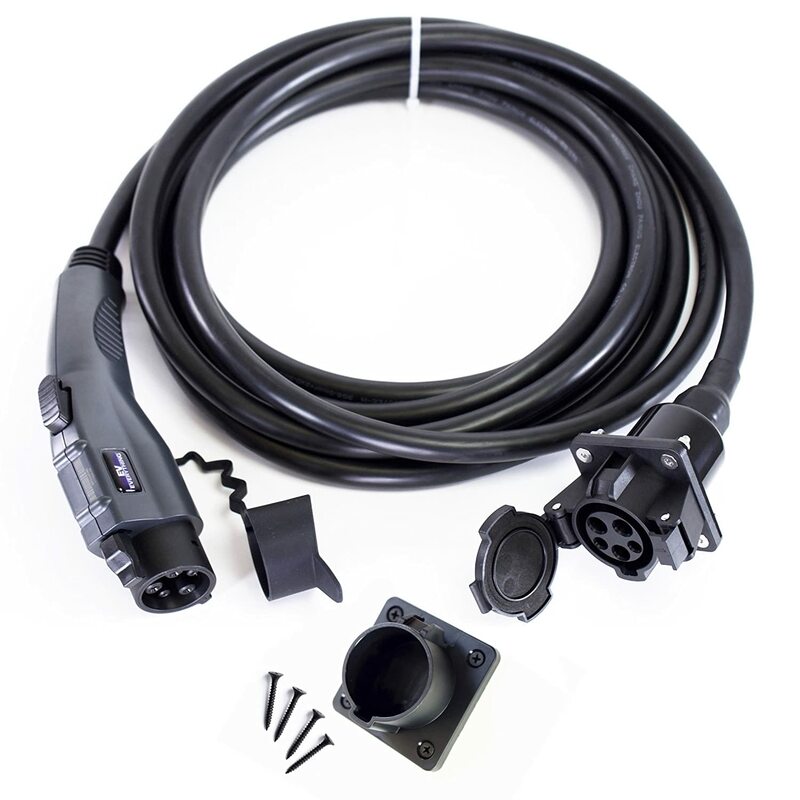 The CHADEMO plug has two large pins for a DC connection, and several smaller pins for a CAN-bus connection allowing the car and the charger to talk with each other. The new SAE plug has two pins for the DC connection, and uses the HomePlug Green Phy communication protocol to communicate between car and charging station. If an adapter could be built, it would be complex. The HomePlug Green Phy protocol also enables smart grid connections. The SAE committee is expected to vote this summer to formally reject CHADEMO and instead adopt the SAE Combo plug. 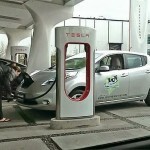 Commercially available charging units are expected to be available in late 2012. The first cars with the new standard are expected to be available in 2013. CHAdeMO, Fast Charging, SAE DC Fast Charge. Bookmark.